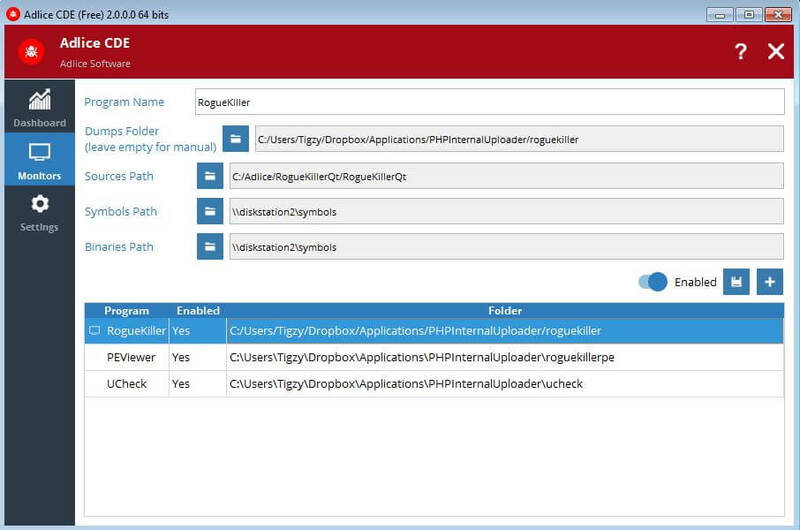 CrashDumpExtractor (CDE) is a software able to parse crash dumps from a monitored folder, display information and stack trace (from given symbols) and keep them in a local database. 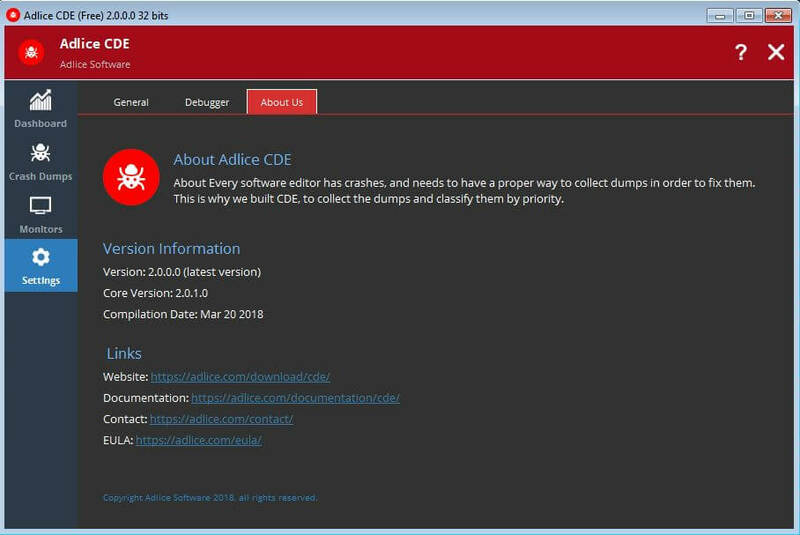 CDE (Crash Dump Extractor) is a FREE software to help developers to organize their crash dumps they receive from users into bugs and priority. 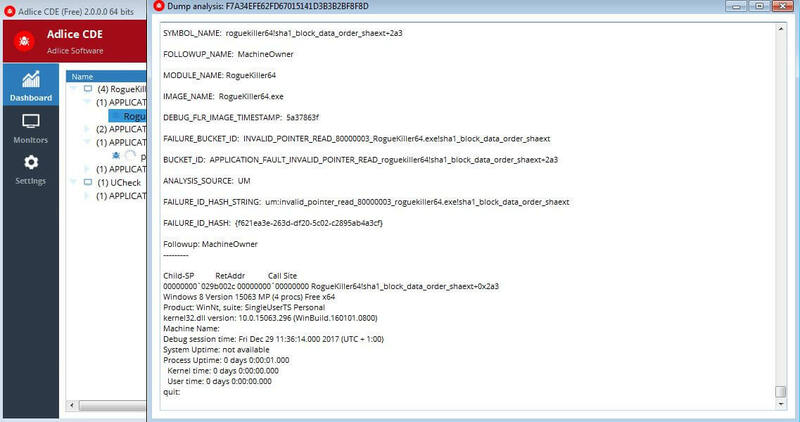 CDE uses per-software monitor to watch a folder for new crash dumps. This can be used with a cloud to synchronize new crash dumps on a dev machine. CDE will extract information from those dumps, classify them by "Bug ID" (this is a way to identify a bug) and display them in the interface. 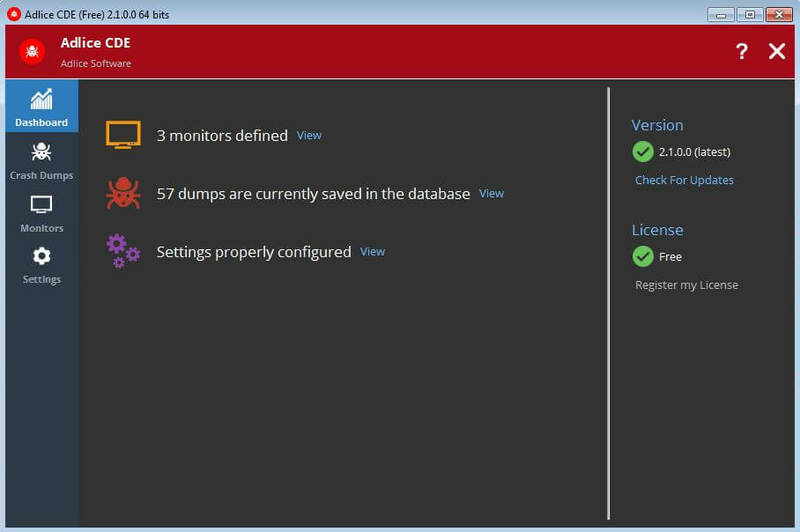 You can then open the dumps with default program (Visual Studio, Windbg, etc...) and remove it once the bug is fixed. 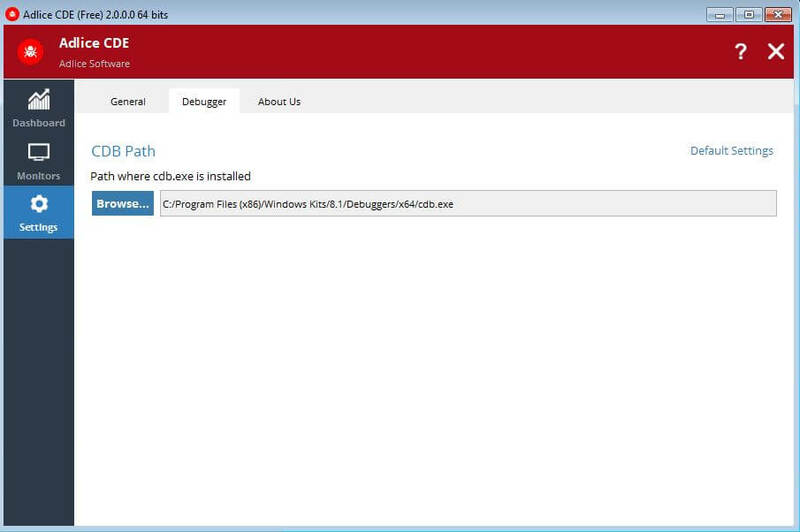 CDB.exe (Command line debugger), from Microsoft Debugging Tools. Parse crash dumps in either compressed (.tar.gz only) format or raw (MDMP) format. 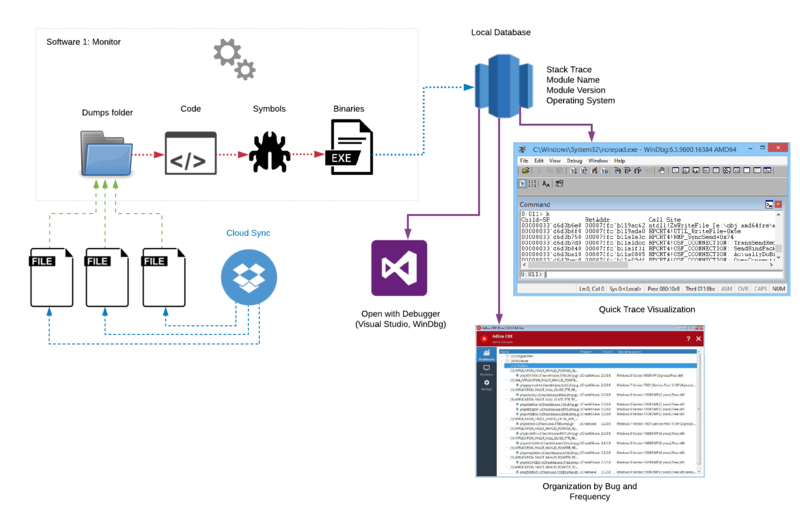 Extract Program name, Program version, Operating System and stack trace (given symbols). Monitor a folder for new dumps. They are automatically parsed/added when they arrive. Display dumps in a "Bug Id" organized view, to better group same crash dumps. 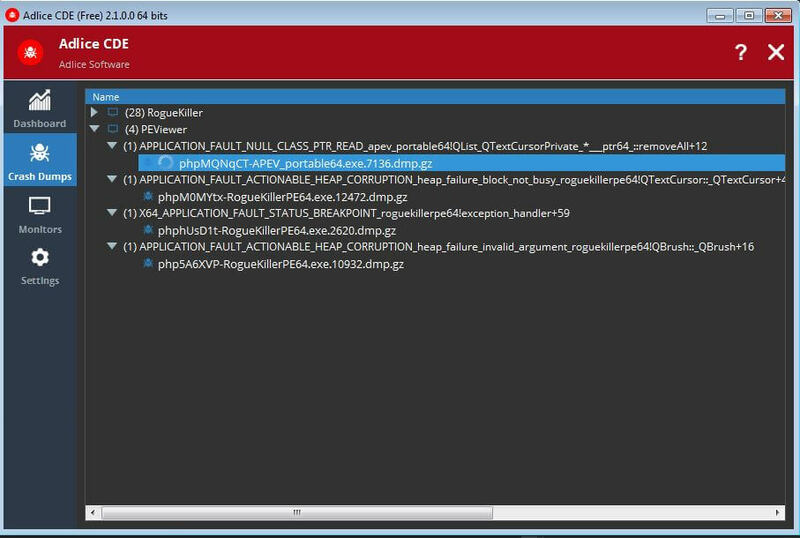 Open a crash dump for analysis (with default program, can be Visual Studio, WindDBG). Monitor multiple software, with different dumps folder, symbols and source code. Please refer to the general documentation.